The Great March Comet of 1843 by James Hervat - This comet had a monstrous tail that streched across the inner solar system. 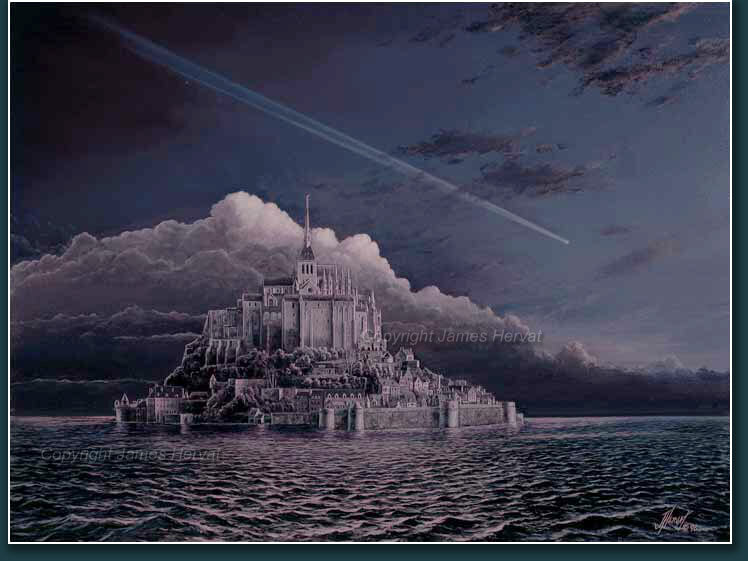 The Great March Comet of 1843 (1996) - This spectacular sungrazer, with a tail estimated to be over 150 million miles long, is depicted over the medieval abbey Mont-Saint-Michel. Please scroll down to see detail view. NOTE: the watermarks seen on the above image do not appear on the prints. High-quality reproductions of all the artwork in this gallery are available from my secure Print Store. They are offered in a range of sizes, printed on paper, canvas or other print substrates. Prints can be ordered unframed or you can choose from a selection of framing and matting options. Orders are usually shipped in 2-3 business days and come with a 30-day satisfaction guarantee return policy. Please see the PRINTS page for more information and a link to the Print Store. 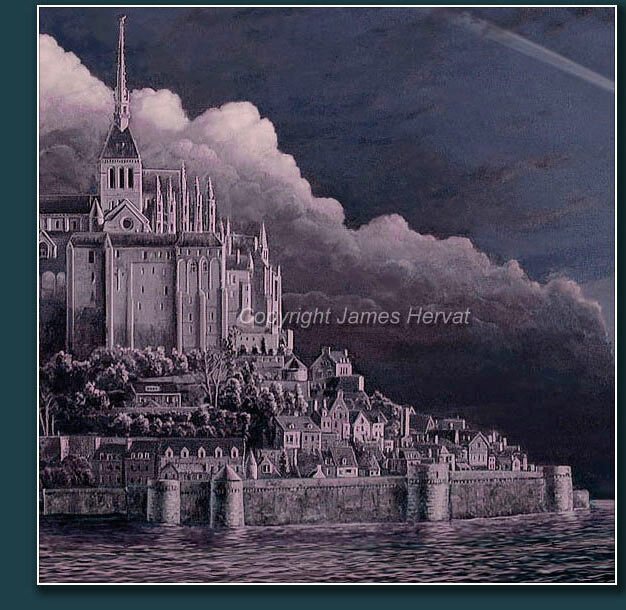 Images and descriptions are Copyright 1977-2019, James Hervat and may not be used without the written permission of the copyright holder.